Yahia Lababidi’s last book, Balancing Acts: New & Selected Poems (1993-2015), debuted at #1 on Amazon’s Hot New Releases, and was featured on PBS Newshour. Lababidi’s first collection of aphorisms, Signposts to Elsewhere (Jane Street Press) was selected as a 2008 ‘Book of the Year’ by The Independent, in the UK. He’s also the author of a critically-acclaimed collection of essays, Trial by Ink: From Nietzsche to Belly-Dancing; a series of ecstatic, literary dialogues with Alex Stein, The Artist as Mystic: Conversations with Yahia Lababidi; as well as a collection of short poems, Barely There inspired by the constraints of social media, and featured on NPR. 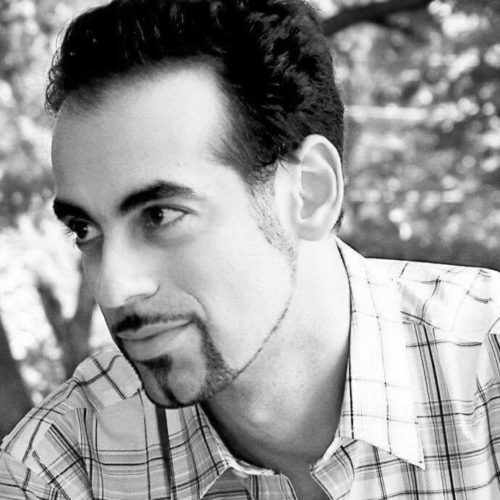 Lababidi’s work has appeared in several anthologies, such as Geary’s Guide to the World's Great Aphorists, where he is the only contemporary Arab poet featured; the best-selling US college textbook , Literature: An Introduction to Reading and Writing; and, more recently, Short Flights, the first anthology of modern American aphorists. To date, his writing has been translated into several languages, including: Arabic, Hebrew, French, German, Spanish, Slovak, Italian, Swedish and Dutch. Lababidi has participated in international poetry festivals in the United States, Eastern Europe as well as the Middle East, while video adaptations of his poems have been shown in film festivals, worldwide. Cut through the noise, with these modern aphorisms.